OCR, short for Optical Character Recognition, is the method of turning a scanned document into a fully editable text document that can by adjusted, searched and otherwise manipulated as a normal digital text file. This can be extremely useful in many situations, and one of the ways people can carry this task out is with open source OCR programs. This has the benefit of being free, and easily available on multiple platforms, but is it the ideal solution if you need to turn pages of a scanned book into something you can search and edit? If you're looking for a stable, long-term OCR solution, PDFelement Pro is likely your best choice. PDFelement ProPDFelement Pro enables the advanced OCR feature, helping you to edit and convert image-based and scanned PDF files. It supports multiple OCR languages to make it more convenient for handling many different types of PDF files. Advanced OCR feature supporting multiple languages. Easily edit and markup up PDF files. Create PDF forms with ease. Secure PDFs with passwords, watermarks, and signatures. This is another open source package that is designed to run on Linux, Windows and OS/2 platforms, providing a wealth of choice for almost any situation. 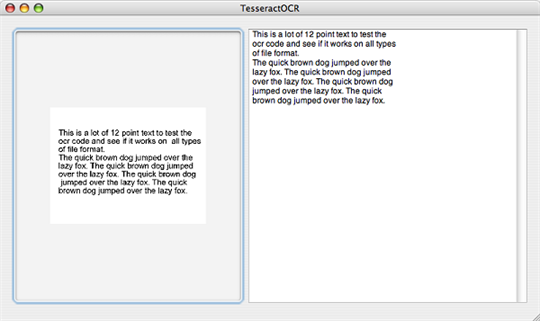 As with other open source examples of OCR software, the process is accurate and the package expandable. However it suffers from similar issues with usability. This varies somewhat depending on the platform being used, with some having a more user friendly front end than others, but it is still a capable tool once in use. Originally a commercial OCR solution, Cuneiform was converted to open source by its developer when further development of the project ceased. Because of this it is not the most up to date solution available, but is effective nonetheless. This is a multi-language piece of software that still works well, and it does manage to avoid some of the pitfalls of other open source solutions, such as unintuitive user interfaces and so on. It is the easiest of the three to use. With multiple output formats and a lot of customization possible it is a good piece of software, if lagging a bit behind in today’s more advanced standards. There is no doubt that all of these open source programs offer a way to perform OCR on your document. They do all have some disadvantages, whether it be the ease of use or being somewhat outdated and not taking full advantage of today's multicore processors for speed. With that in mind many people turn to more comprehensive commercial packages to meet their OCR needs, and with comprehensive support, ease of use and reliability it is no surprise. Open source products do have their place, but for many relying on the tools daily and needing something that is a little easier to run, the costs are very often well worth it in the long run to find a long-term solution. The advanced OCR function in PDFelement ProPDFelement Pro will help you to perform OCR on your PDF files easily. Please follow the steps below. After you launch the program, click the "Open File" to import the scanned PDF file into the software. You will get a notification showing that the file is a scanned PDF. Click the "OCR" button under the "Edit" tab. You can open the OCR panel on the right side of the program interface. 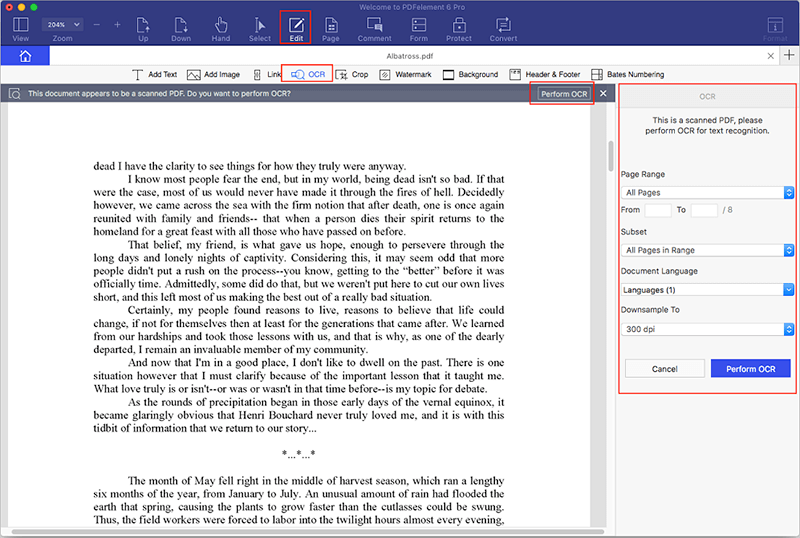 Customize the page range and the OCR language. 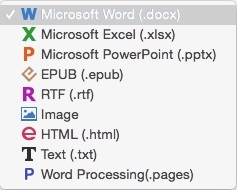 Then click on the "Perform OCR" button to perform OCR on the scanned PDF. The best option available here is iSkysoft PDF Converter Pro for Mac, which is a very comprehensive software package that not only features easy to use OCR features but is also a PDF converter in its own right, providing a wealth of tools for manipulating PDF files and producing other formats from them. Starting with an extremely easy to understand interface, PDF Converter Pro for Mac can perform OCR on your files in 17 different languages, meeting the needs of many users. In addition, it can output in a wide variety of formats including Word, Excel, Epub (eBook format), rich text and of course plain text files. 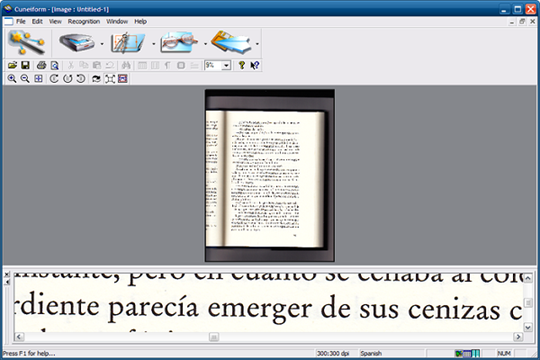 The OCR engine is extremely accurate and the software includes a batch processing menu that allows up to 200 files to undergo OCR with the press of one button. This saves a lot of time for users. 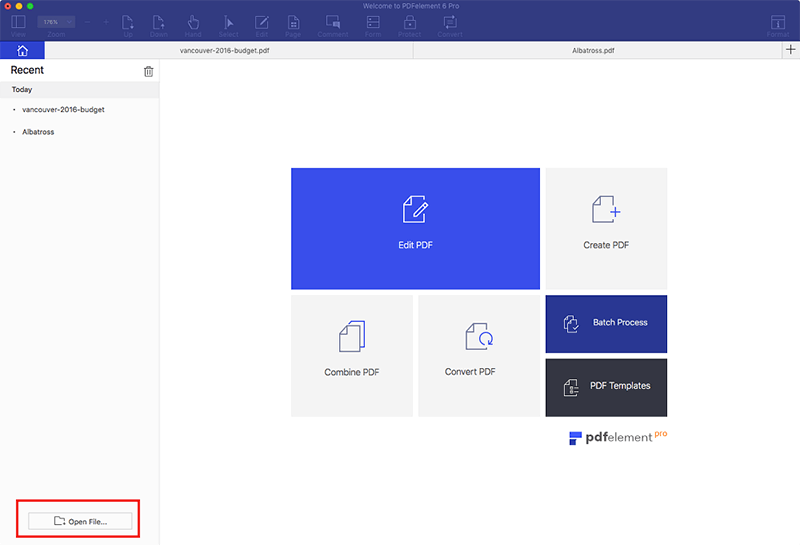 Double click the application icon to launch the program and directly drag and drop the PDF file you want to convert into the main interface of the program. Alternatively, you can go to the File menu and select the “Add PDF Files” option to import the file to the program. This converter supports batch conversion, so you are able to add multiple files and convert them at the same time. Go to the PDF Converter Pro tab and select the Preferences option. You will get a pop-up window. Click the OCR tab in the window and select the OCR recognition language you prefer. 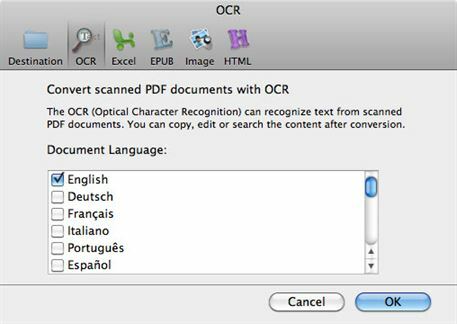 When you have customized the language, check the Convert Scanned PDF Documents with OCR option at the bottom toolbar to enable the OCR function. Then click on the Gear icon to open the window for choosing output format. Just select Plain Text as the output format. Last, click the Convert button at the bottom right corner to start the conversion. This smart PDF tool can decrypt the password protected PDF files automatically. So, if the PDF files are protected from printing or copying, you can directly import them to the converter and select settings to start the conversion. But if your PDF files are Open Password protected, when you import them to the converter, you have to input the correct password to unlock the files.